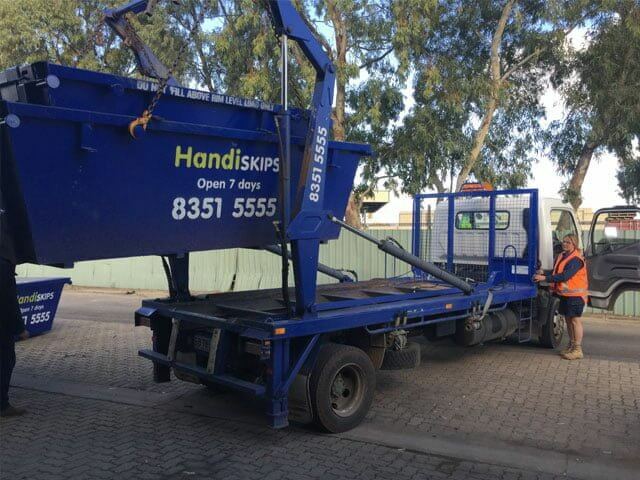 Handiskips SA is a rubbish removal company with many years of experience servicing Adelaide and the surrounding suburbs. 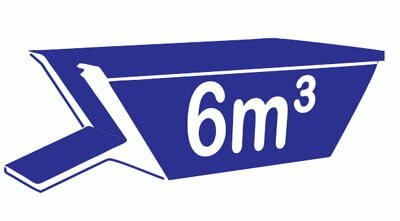 We pride ourselves on friendly service and professional rubbish removal throughout Mitcham and neighbouring area. With Handiskips SA you get the best prices that will save you the stress and hassle during a spring clean, house move, house clearance, and any home renovation or garden makeover project. 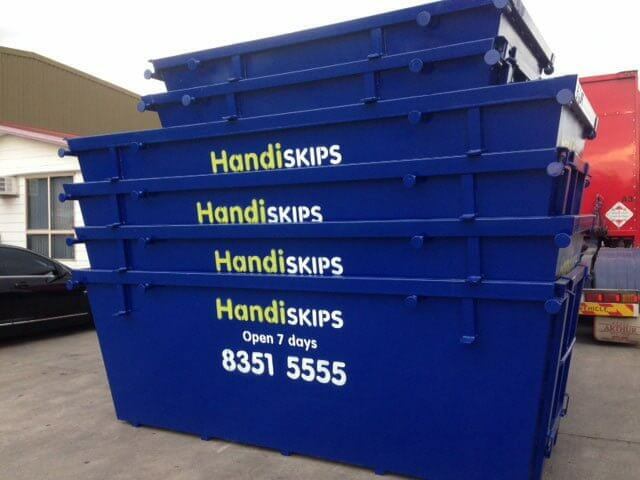 You get reliable service, clean and roomier skip bins Adelaide, access ramp, delivery and pick up and great customer service with Handiskips Mitcham, without burning a hole in your pocket. 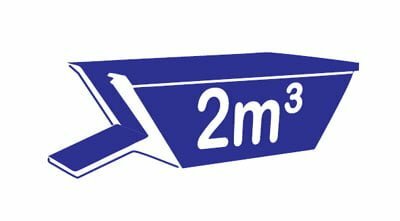 Our skips range from 2 cubic meters mini skip bin, 3 cubic meters mini skip bin, 4 cubic meters skip bin to 6 cubic meters maxi skip bin. Save time, effort and money. 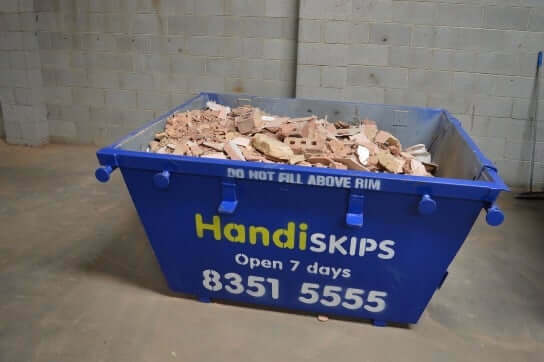 Instead of cutting corners and loading rubbish into a trailer, car or van for endless removal trips, you can simply load it into a skip bin from Handiskips SA and save time to concentrate on other things. 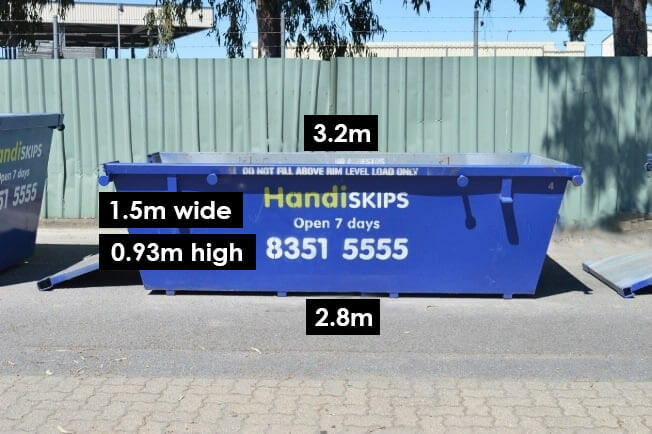 Handiskips are the cheapest skip hire in Mitcham starting at $99 for green waste. Simply let us know what items you want removed and our professional and friendly waste collection crew will provide you with a free, no-obligation quote. 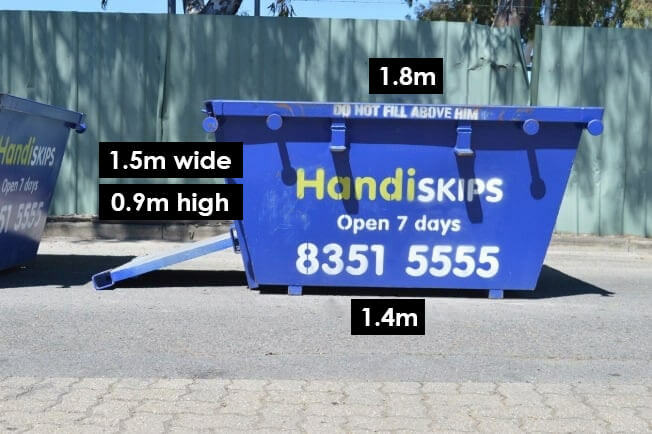 Call Lisa at Handiskips SA if you have any questions or need assistance deciding on the right mini skip or maxi skip for your Mitcham waste removal needs. We take the heavy lifting out of getting rid of your unwanted items; our hands-on service is quick, easy and affordable. 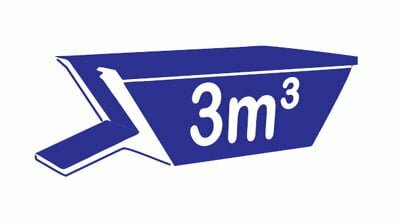 We strive to remain environmentally aware; we recycle as much rubbish material as possible and have a current rating of 95%. 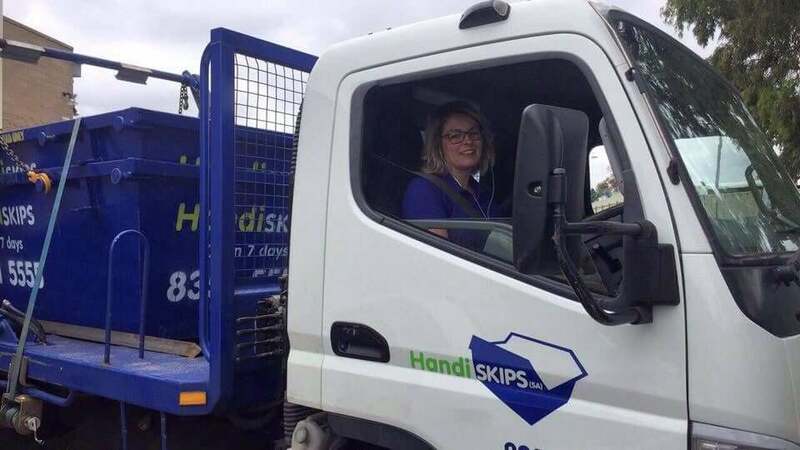 We get the job done right – Handiskips SA truck will promptly load your filled-up Mitcham skip bin and leave no trace behind. 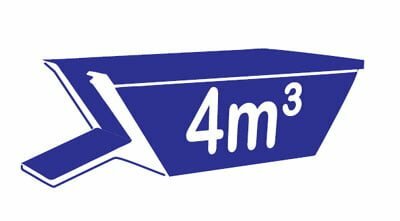 We can handle any removal jobs, be they large or small, for any range of unwanted household or commercial items, to help clear your property of clutter. Whether you are renovating or clearing a house, sorting out an office or managing a building site, we have a skip for you. Think of us for removal of any general household rubbish, unwanted furniture, appliances to bricks, garden waste and anything else you no longer need. 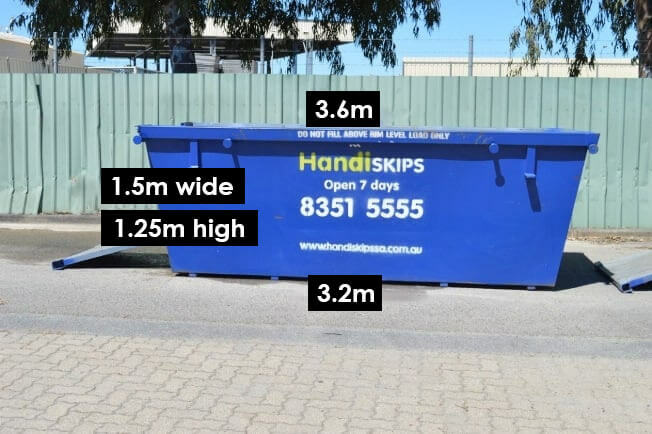 For the most professional and thorough waste removal, Adelaide has to offer, Handiskips SA is the place to call. Because we are a locally owned and operated business, we employ local people, we use local suppliers and contribute back into the local community. Call Lisa now to experience our great customer service for yourself. 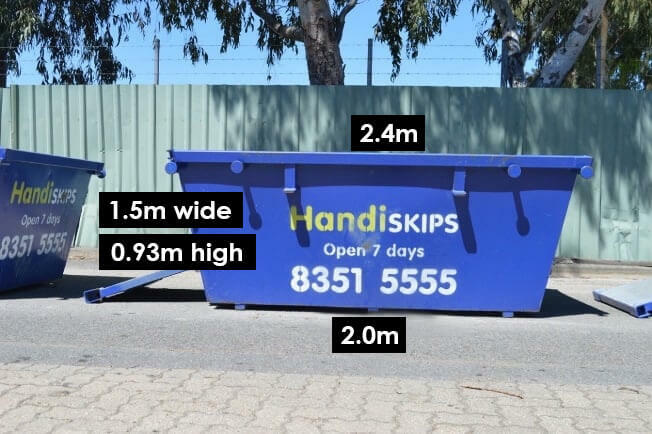 Get in touch with Handiskips SA team today to learn more about what size of mini skip bins Adelaide and what type is best suited for your requirement.